Setback is the horizontal distance between the bottom bracket and the seat tube - top tube intersection. 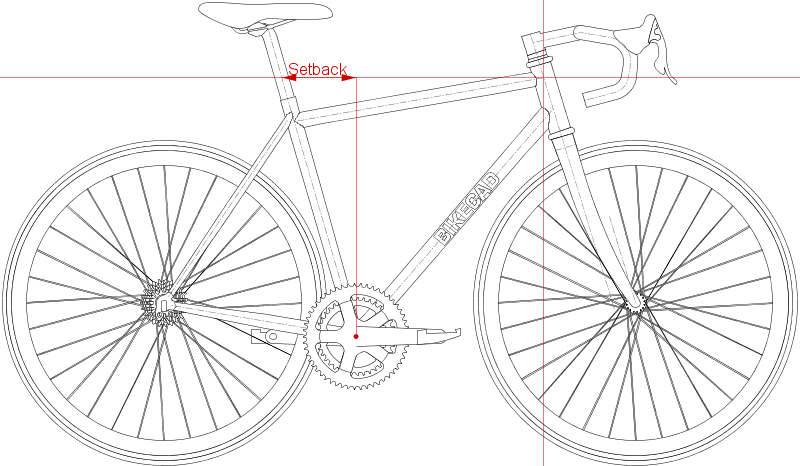 Note that for sloping top tube bikes, BikeCAD measures setback according to the effective seat tube length. This may not be in agreement with everyone's definition of setback.